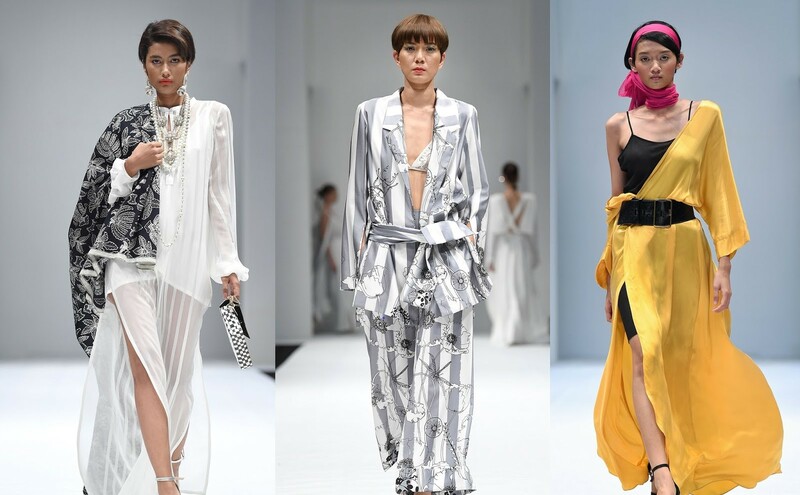 At the action-packed shows during Kuala Lumpur Fashion Week 2017, we saw a lot of new shapes, cuts and prints on the runway for the coming season. Here's a around-up we put together for you of the latest trends that will take Spring/Summer 2018 by storm ! Embrace the stripes next season with reinvented textures in different colours and sizes, from the conventional symmetrical stripe in a matching open top blazer and pants by eclipse to a flowy bohemian inspired maxi dress by Alia B and for the men a pink striped suit set by CMDI. These long, flowing dresses will billow in the breeze next summer. Whether you are going for a casual day out or a date night, there's always a flowy dress that suits the occasion. 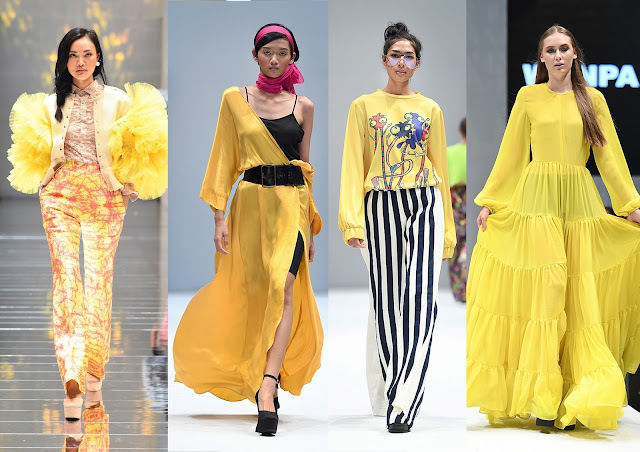 Shades of yellow has made it's presents known on the runways of KLFWRTW2017. 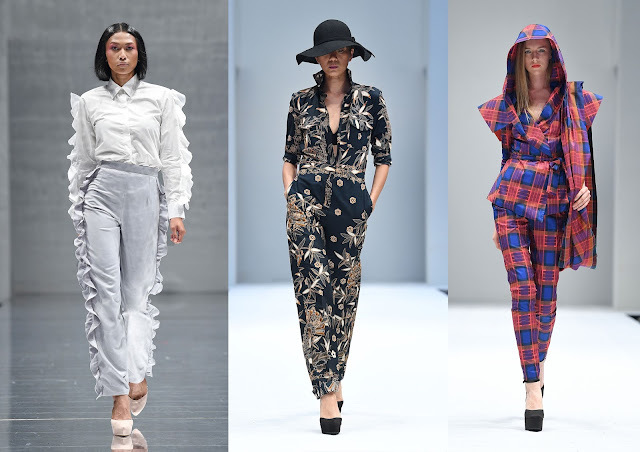 From a silk kimono cover-up by Variante, printed jumper by ZSay to a bohemian layered dress by Wanpa and a statement jacket/ pants combo by Ridzuan Alias. With all the asymmetrical shoulder designs on dresses, the 'Show off your shoulder' trend has proven to be an inspiration for a number of fashion houses this season. So be sure to flaunt that neckline this coming season.